A brilliant right hand ring featuring interlocking loops of lab created diamonds. Available options: platinum, 14k or 18k gold: white, yellow, rose. 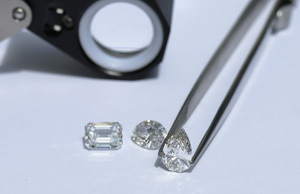 Our friendly Concierge are here to help you build a stunning piece of sustainable, conflict-free fine jewelry with diamonds hand selected for optimal fire, brilliance and quality. Ada Diamonds Design Description- This exquisitely designed ring features interlocking loops of brilliant lab grown diamonds in 14kt white, yellow, or rose gold.